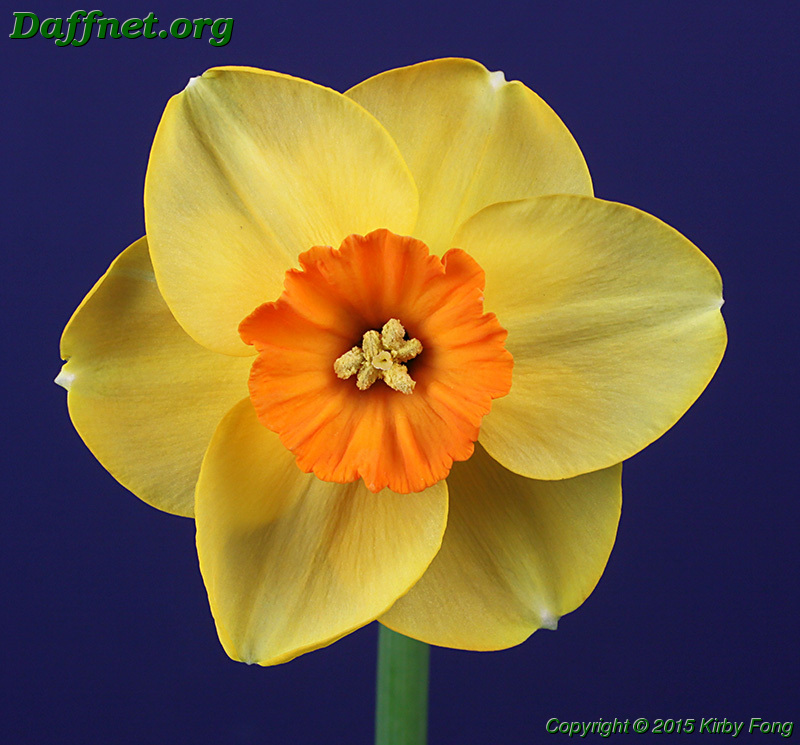 The 2015 Livermore daffodil show was held March 7 and 8 at Alden Lane Nursery. 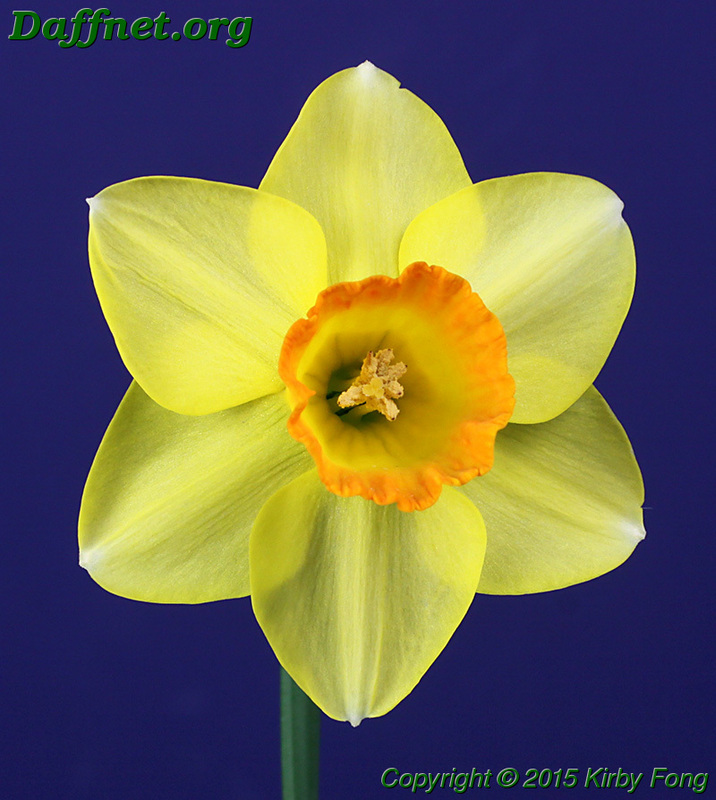 The season was very early this year with many daffodils starting to bloom in the middle of February. 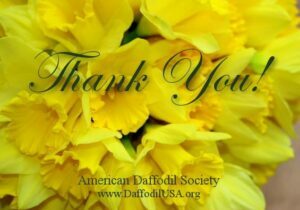 Many of the flowers at the Livermore show had been kept in refrigerators for two weeks and were wilting by the second day of the show. 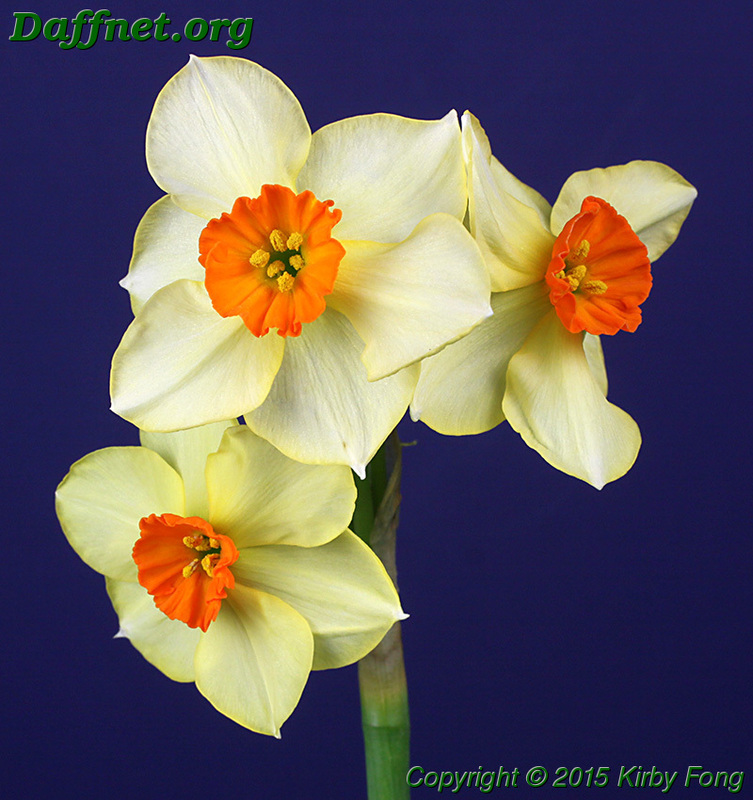 Anyway, here are the ADS award winners that involve only a single cultivar. 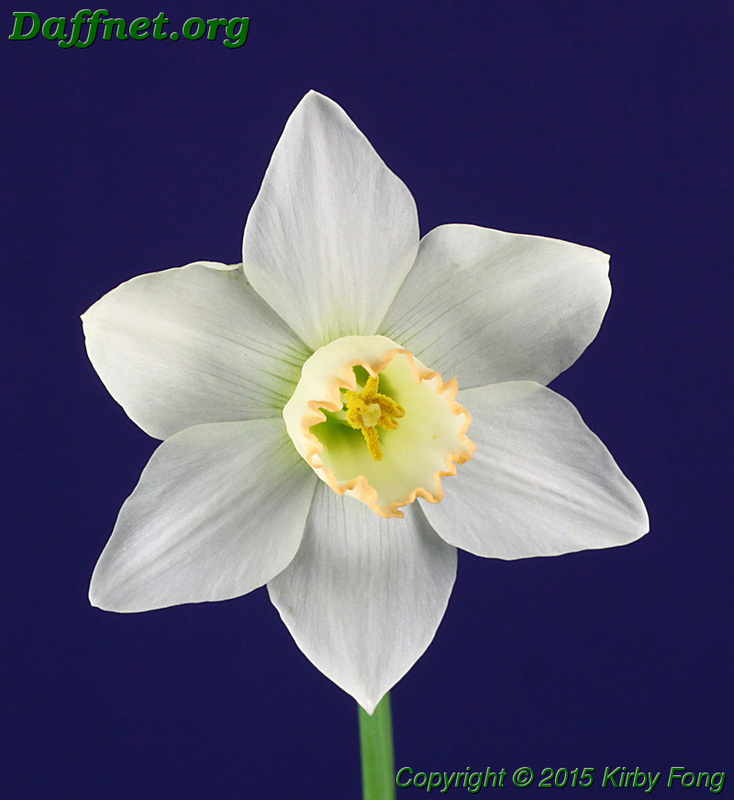 The Rose Ribbon is for the best standard seedling in the show excluding the container classes exhibited by its originator. 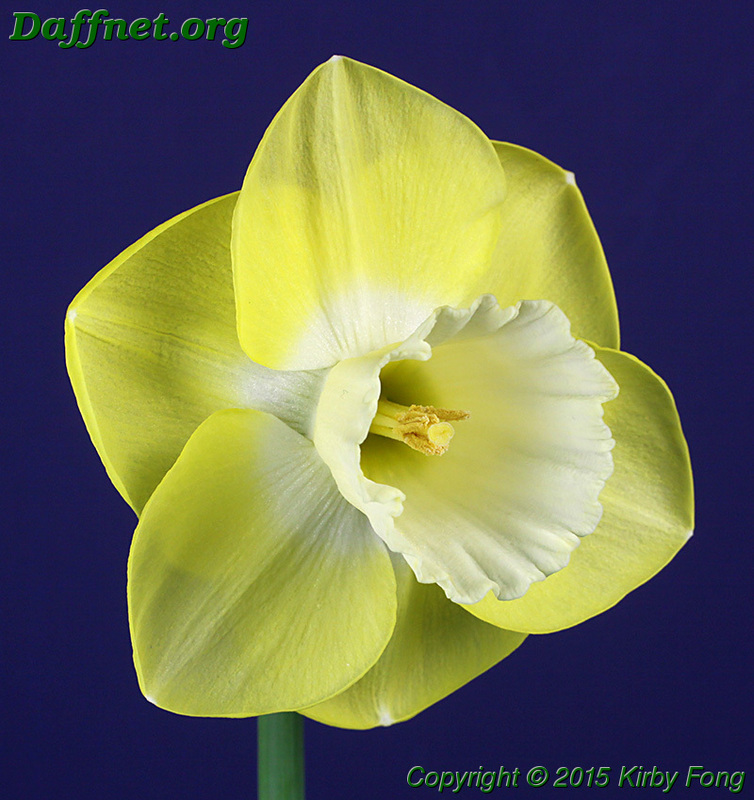 The Miniature Gold Ribbon is for the best miniature daffodil in the show excluding the container classes. 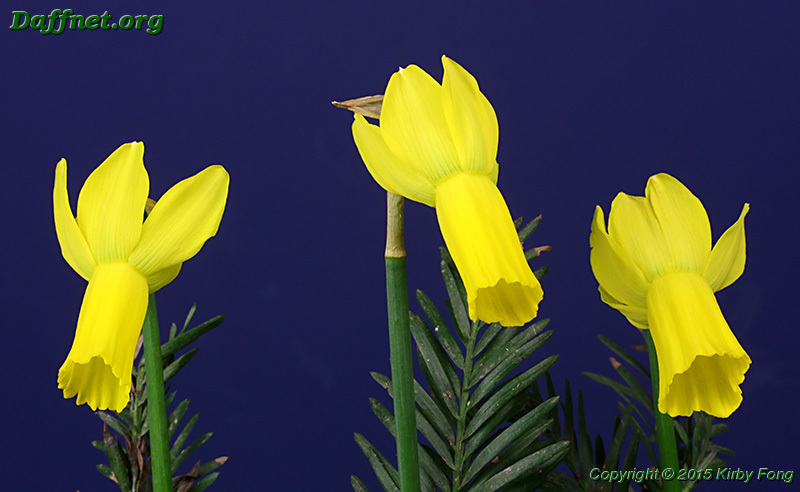 Lima refers to the late Manuel Lima who did a lot of hybridizing with N. viridiflorus in pursuit of green daffodils. The Miniature Rose Ribbon is for the best miniature seedling in the show excluding the container classes exhibited by its originator. In this case they’re Harold Koopowitz and Marilynn Howe. The White Ribbons is for the best set of 3 standards in the show. 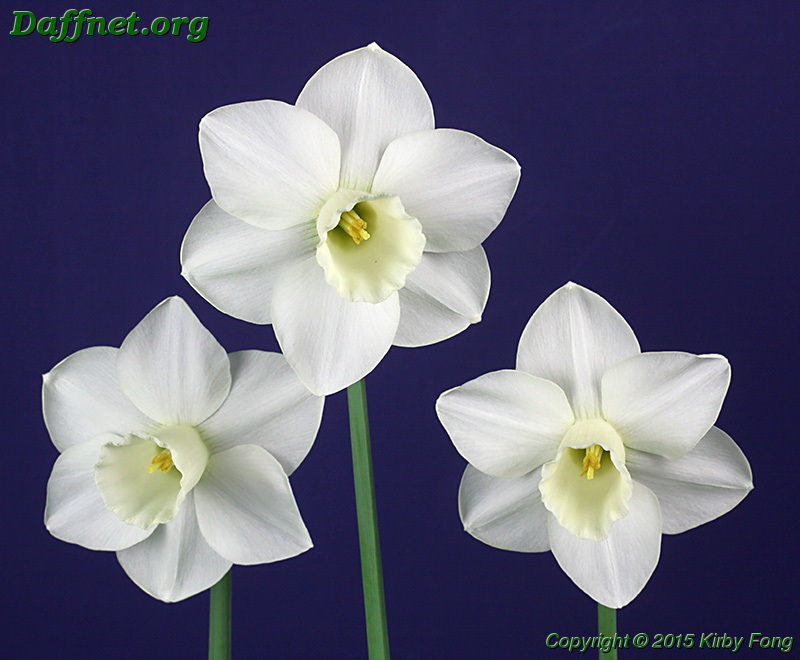 The middle bloom of ‘Bob Spotts’ was also the best white daffodil in the show. The Miniature White Ribbon is for the best set of 3 miniatures in the show. The Best Intermediate happened to be in Ben and Nancy’s New Zealand collection. ‘Ollie’ is bred by Denise McQuarrie. 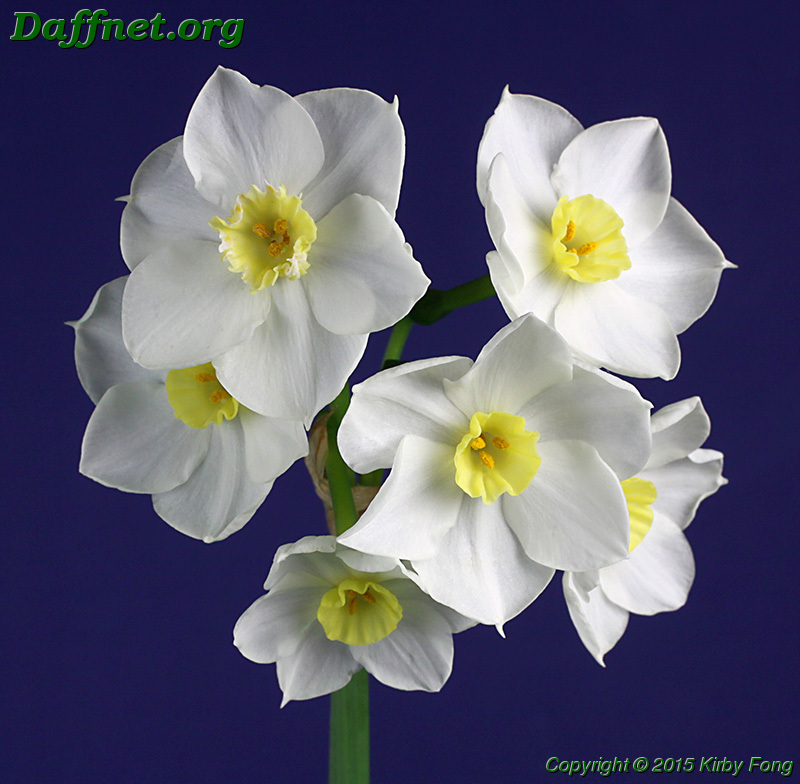 This is the best set of 3 intermediate size daffodils. The best historic bloom was ‘Niveth’ 5W-W registered in 1931. Historic is defined to be a cultivar registered before 1940. 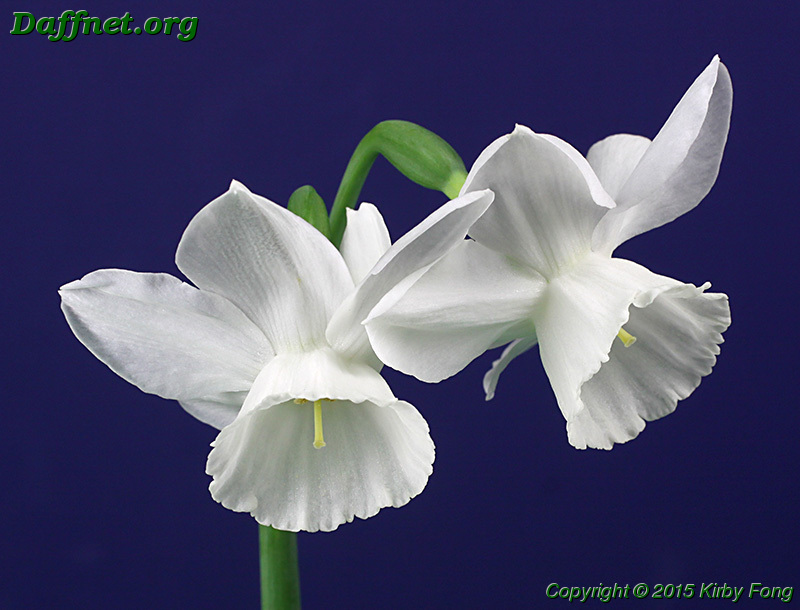 The same flower won the award for best classic bloom and the award for best single stem exhibit of a classic bloom. 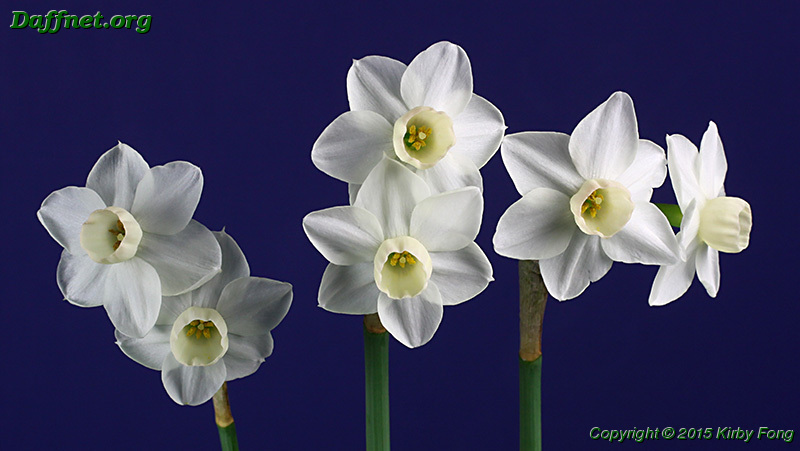 Classic means a cultivar registered between 1940 and 1969 inclusive. ‘Matador’ was registered in 1958. Here’s the best bloom in the Youth Section. There were three exhibitors in this section. Nick got the bulb at the local society’s drawing and auction the previous autumn. Nick also had the best set of 3 in the Youth Section. That’s enough for tonight. Tomorrow I’ll show the the award-winning standard and miniature collections. I agree with David, it is lovely to see the reports from your part of the world, congratulations to all the prizewinners! The Gold Ribbon winner is a beautiful bloom, Kirby. Great to see one of my raising winning Best Intermediate for Nancy and Ben. Just an adjustment to the name needed, it is Ollie, (named after one of our Siamese cats) not Allie as shown in the photo. 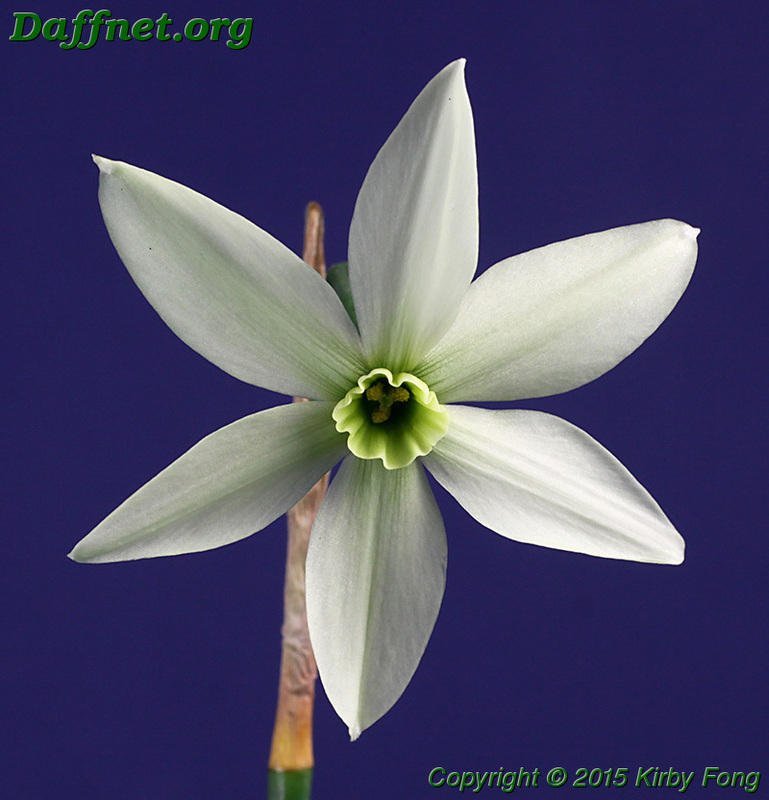 If a hybridizer names a superb flower for you, you should grow it. Needless to say, John’s cultivar is superb! Thanks for the honor, John. Thanks to Denise, I’ve corrected the name of the best intermediate from Allie to Ollie.